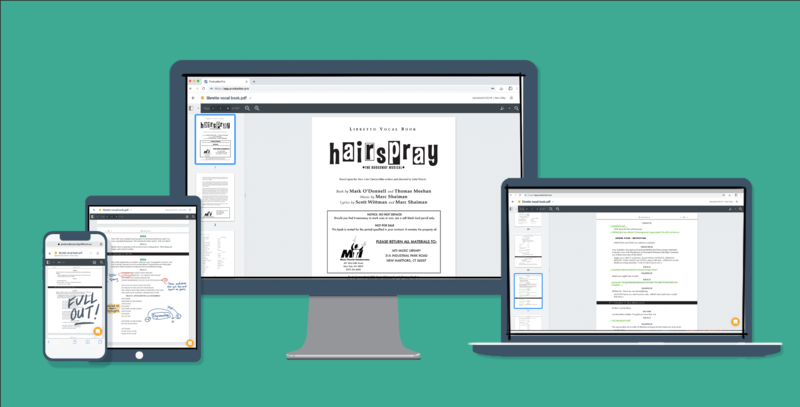 NEW: Digital Scripts now available on all devices - including Android, Google, PC, and Mac. 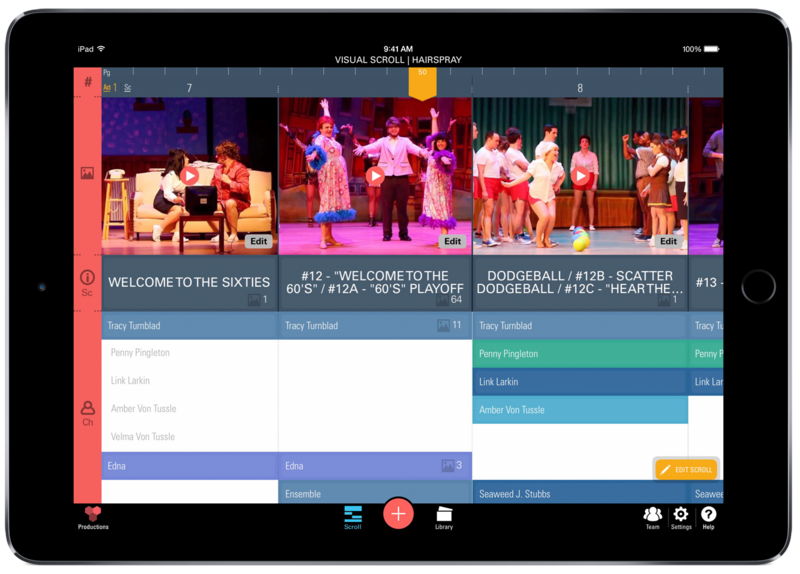 ProductionPro provides the cast and creative team with the digital script and piano vocal score, and allows you to sort and share designs, choreography videos and more in an interactive Character-Scene breakdown. 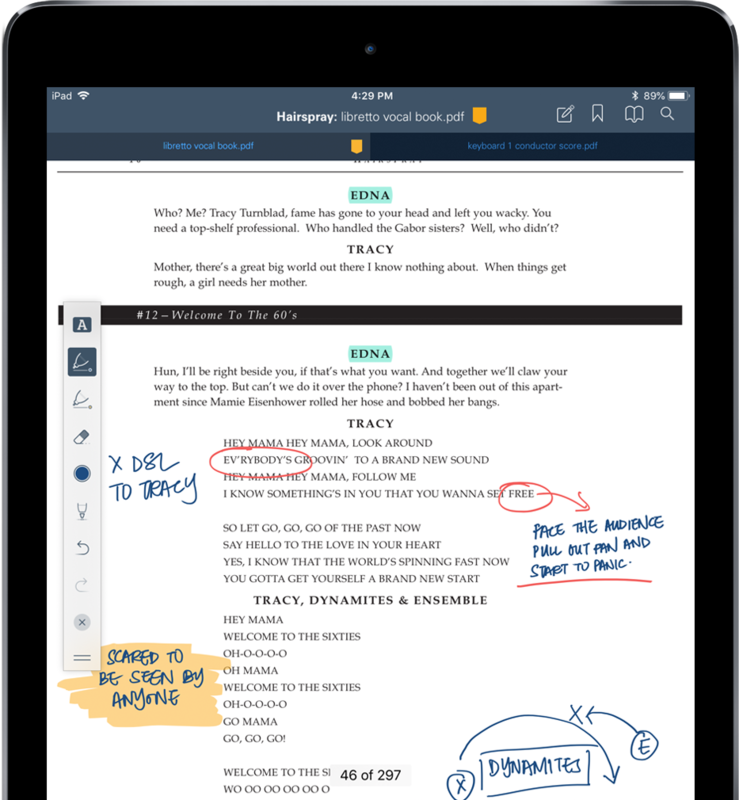 Write on Your Digital Script and Score: Access a digital version of your script from any device, and share with the cast and crew. 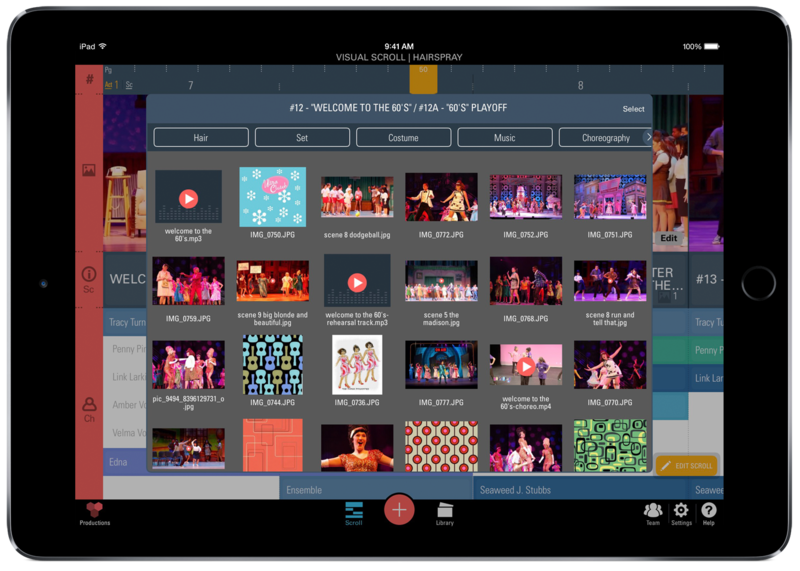 Capture Designs and Choreography: Automatically sort choreography videos, casting images, costume and set designs to view them in the ProductionPro iPad app. Rehearse with Cast and Crew: Give principals and crew a headstart with early access to the script, score, production designs, and choreography. Cast & Crew access to the Digital Script, Digital Piano Vocal, and interactive breakdown of the show. Please contact ProductionPro at info@production.pro for assistance. Web app (Digital Script & Upload Media tool): Any device with internet browser and internet connection. 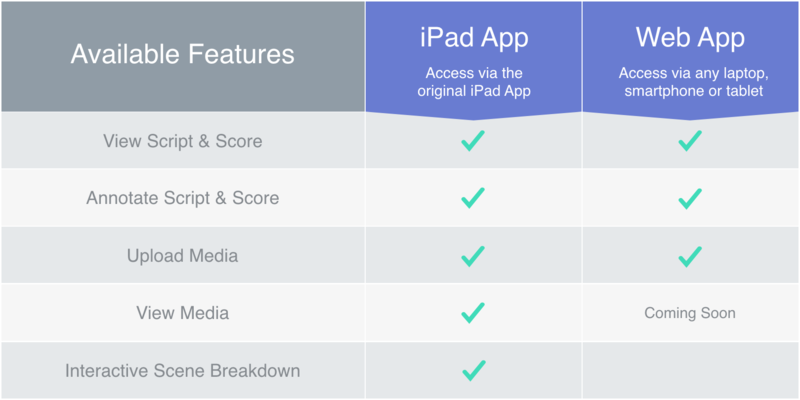 iPad App (Digital Script and Breakdown): iPad running iOS 9 or later. 2.The ProductionPro Resource is designed to be used by individuals who are 13 years or older, unless verified parental consent has been given. Educational institutions intending to use ProductionPro in an education context with individuals under 13 years of age shall obtain parental consent prior to sharing the ProductionPro Resource with such individuals. How do I order ProductionPro? You can order the ProductionPro add-on through your MyMTI account. How many collaborators can I add? When you order ProductionPro, you can add 15 collaborators to start. You can add the rest of your team two months before your show starts. The ProductionPro add-on gives you access to the digital script and piano vocal score on your iPad - way before your books arrive - so you can start making notes and planning your show! It also comes with a show breakdown you can upload and sort your creative materials in. You can order it today and get it by tomorrow. I need to order a piano/vocal score along with my perusal. How do I do that? Can you turn pages of the piano score with a foot pedal in ProductionPro?